News > Underground News > Dates for Razakel’s “Blood On My Chucks” Tour Released! 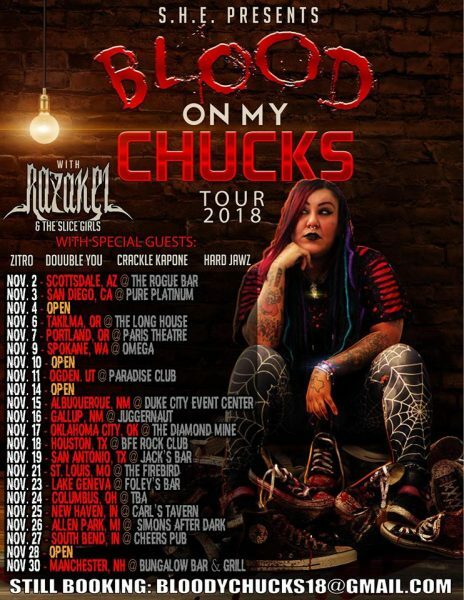 Dates for Razakel’s “Blood On My Chucks” Tour Released! 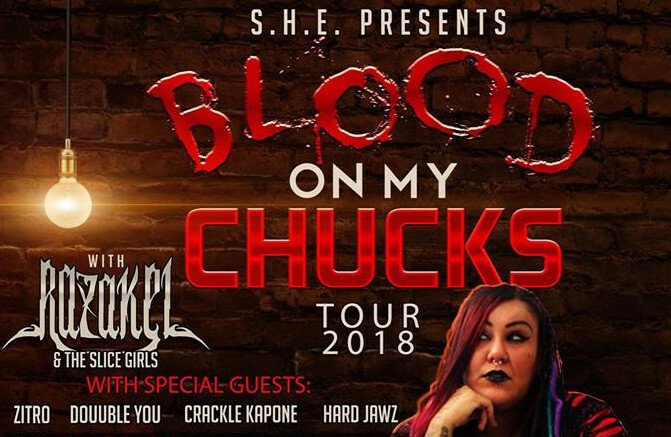 Not long ago, we told you about the “Blood On My Chucks” Tour that was being booked which featured a headlining performance by Razakel & The Slice Girls. Now,we have dates confirmed for almost the entire month of November! Joining Razakel will be Zitro, Douuble You, Crackle Kapone, and Hard Jawz! If you’re interested in booking, shoot an email to bloodychucks18@gmail.com for details! Cool, but Imma wait on the “Crips on my Nikes” follow up tour, lol, nah, good stuff man. Can’t say I am interested or not. Even if the show could get booked for my area, all spots are already booked around it. Win-win? Lose-lose? Eh, it is what it is.